The City of Allen is located in Collin County, which is north of Dallas. The city, just like many other cities in Collin County, has shown growth in many areas including the housing market. 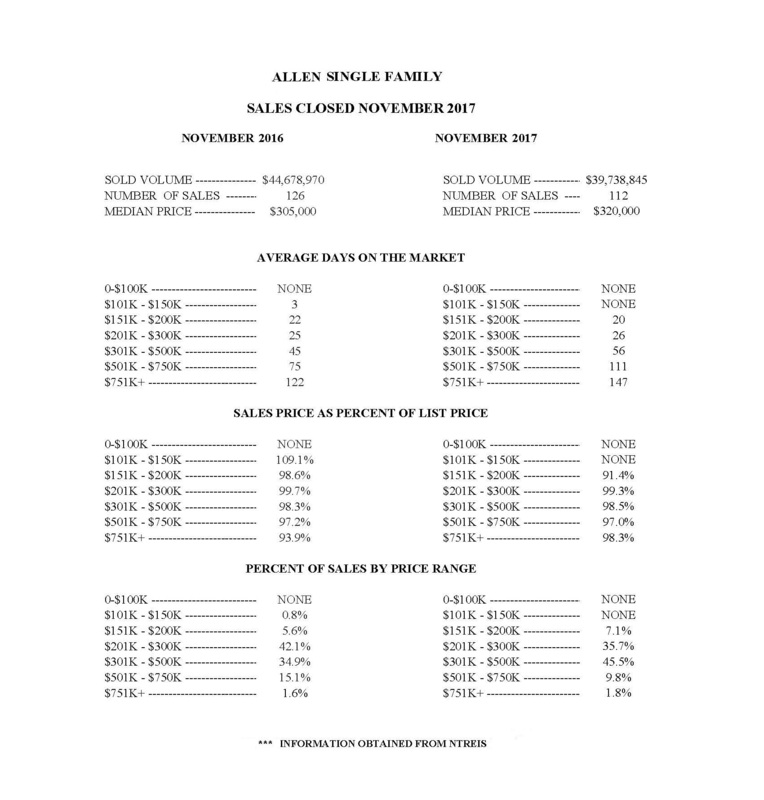 Median home price in Allen in November 2016 was $305,000 and increased to $320,000 in November 2017. There is no home under $150k. 45% of the homes are in the price range of $301k – $500k compared to 34.9% in November 2016, and average days on the market is 56 days compared to 45 days last year.If you are looking to sell or purchase real estate in Allen and the surrounding area, I’m honored to have the opportunity to assist you.